A big leap forward in productivity: The ECOSYS M2640idw marks the very best of the new ECOSYS series, combining outstanding performance with a vast variety of features. It is remarkably fast in every aspect and has a very low TCO. It connects with almost all smartphones, supports Wi-Fi Direct and can be controlled intuitively from a 4.3 inch touch panel. 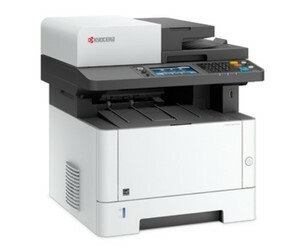 See the manufacturers web site Kyocera ECOSYS M2640IDW for more information.